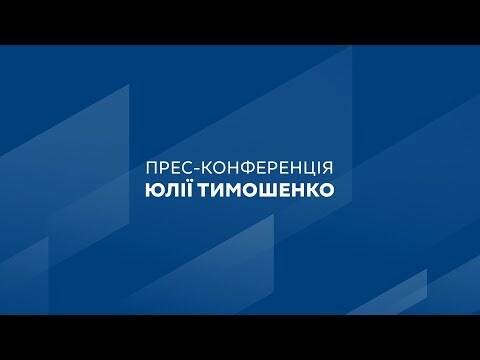 Batkivshchyna faction leader Yulia Tymoshenko says that the government’s proposed pension, medical and land reforms will not improve the socioeconomic situation of ordinary Ukrainians. “Medical reform will mean the burial of part of the Ukrainians people. After the medical reforms 60% of people living in poverty will not have access to healthcare because they cannot afford it,” Yulia Tymoshenko said during the coordinating meeting of faction and parliamentary committee heads. The politician said the Batkivshchyna team spoke with medics about the proposed reforms and heard many complaints, including fears that local budgets will not have the means to provide adequate financing of healthcare. “They are taking the last kopecks from local budgets and introducing a centralized corrupt institution that will purchase drugs and equipment at higher prices and hospitals will not even have what they do now,” the parliamentarian warned. Yulia Tymoshenko urged parliament to consider alternative draft law №4456 on the organization of medical care in Ukraine. “This is the medical reform we need. Not the destruction of the Ukrainian nation they have planned,” she said. Yulia Tymoshenko also spoke out against the proposed pension reforms. The politician said that the pension reform de-facto raises the retirement age by increasing required employment length. “This means there will be 30% fewer pensioners because they will not be allowed to retire and in the strategic perspective pensions will be lower,” the Batkivshchyna faction leader explained. The politician urged the government to split pension reform into two separate parts and update and index pensions as required by law. Yulia Tymoshenko also said the government’s plans to implement land reform will deprive Ukrainians of the right to control their own land. The Batkivshchyna party and All-Ukrainian Association of Farmers and Private Landowners of Ukraine continue to collect signatures as part of a popular referendum against the sale of agricultural land. “With regard to land reform, we have more than 1.5 million signatures from citizens of Ukraine and we will continue to work until we have 10 million signatures against the sale of land,” the lawmaker said.